Details: Another one pops up! 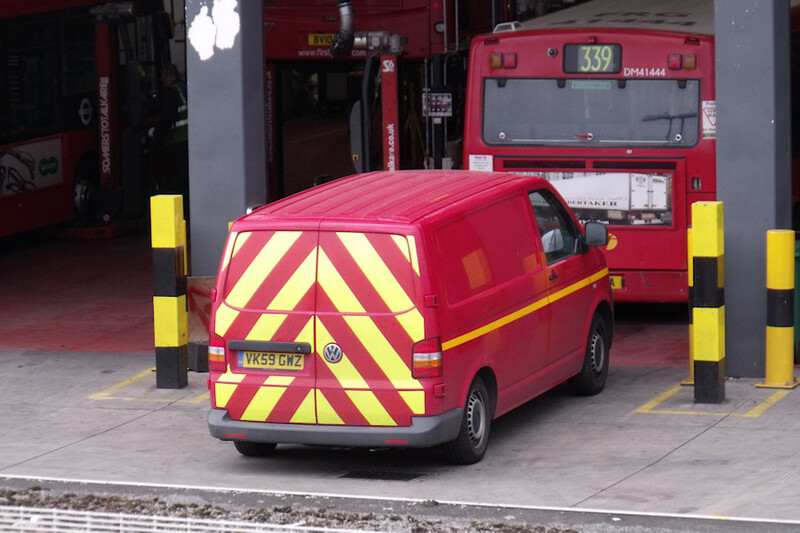 This Volkswagen Transporter van photographed at First's Lea Interchange Garage on 29th June 2012 was remarkably similar to VK59GWW seen at Uxbridge a few months earlier. Although over 2 years old, neither had been reported before. It could be that they were recently transferred in from other parts of the First empire, although this seems unlikely given the red livery. LI garage had recently lost an earlier VW Transporter van, but this appears to have been replaced by a new Ford Transit.